There is news about the Apple company plans to officially announce the new generation MacBook Air during the fall of 2017; some new technology may be introduced along. As of current, what is the most compatible software for MacBook Air video editing software? We need to have MacBook Air video editing software in its greatest degree to keep up with the intelligent features of the new generation MacBook Air products. 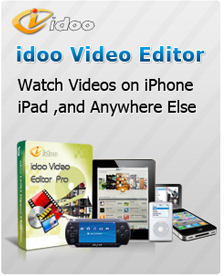 idoo Video Editor is the smartest and most versatile as MacBook Air video editor. It can run advanced editing and converts format on video without going through complicated linear editing progress. While you are video editing on MacBook Air, you might as well enjoy the comfortable interface and its promptness. idoo Video Editor has a very powerful format conversion and editing functions, which applies to some specific situation, like hAVIng Sony camcorder video edit and convert format through MacBook Air, then directly share it to YouTube. We will show you how to edit MacBook Air video by idoo Video Editor. 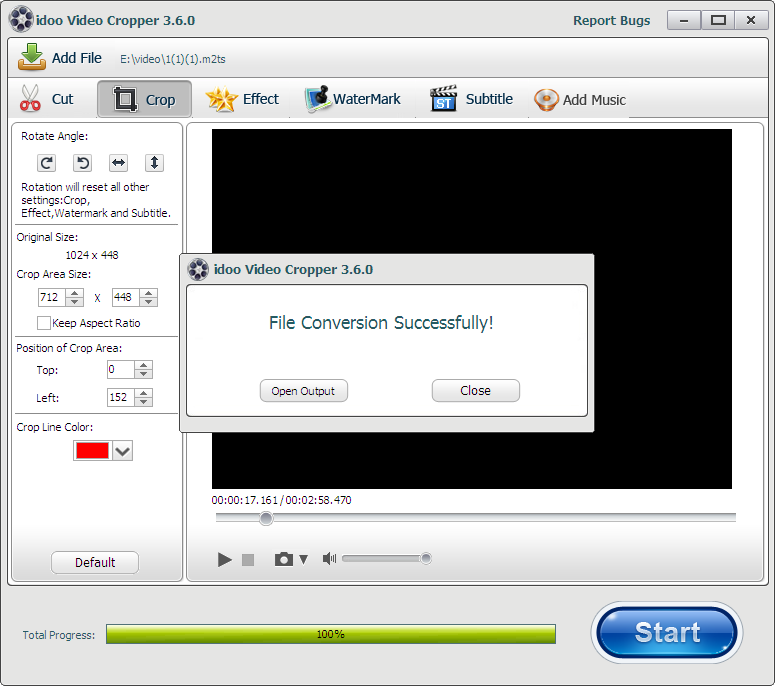 1Start idoo Video Editor and open Video Cropper to load MAC Book video. Then pre-edit the video. See the picture below. 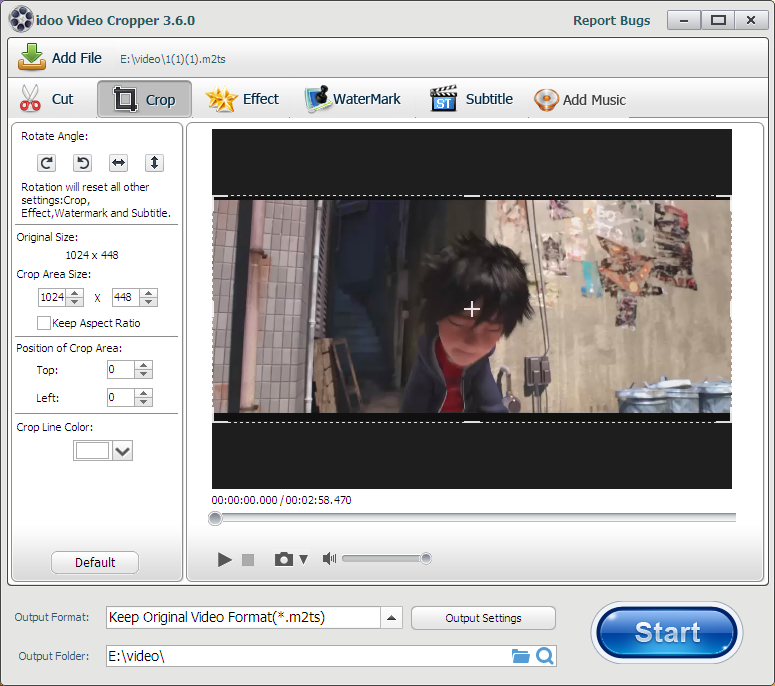 2Drag the cropping line, set the length and width of the video, and then set the color of the cropping line. See the picture below. 3Click "Output Settings" to set file format as HD video of YouTube format. See the picture below. 4Return main interface and click Start to begin editing and converting. After that, we can get the video we like. As shown below. 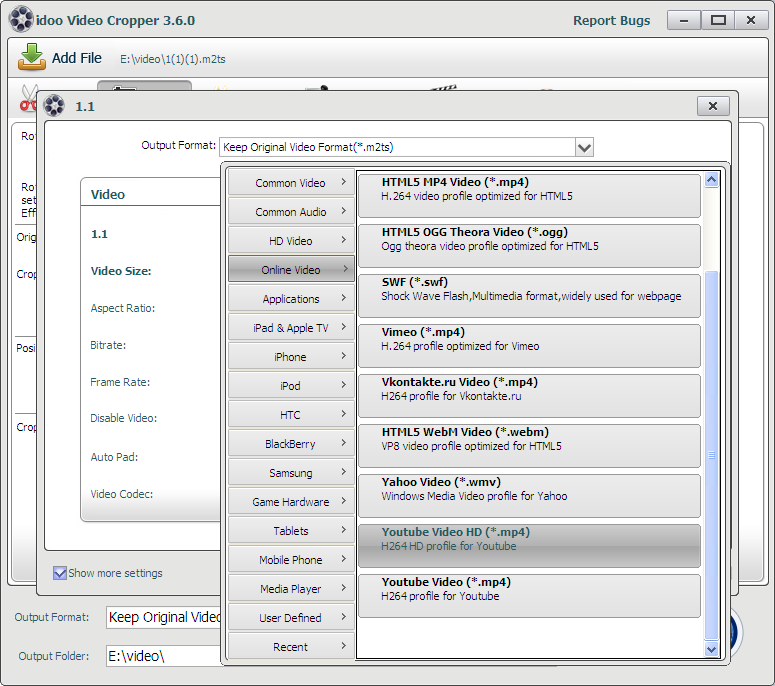 How to easy split video files into parts for YouTube...?